I am a Turkish journalist and I’m coming from a country that has the highest number of imprisoned or exiled journalists in the world. Aside from journalists, I am from a country where even a police dog was exiled after it was claimed to be a dissident. Remember that Syria-bound trucks carrying arms and intercepted on the border? I was one of the first journalists to break that story. Then all hell broke loose. The Turkish government wanted police officers, judges, prosecutors and journalists who uncovered that weapons supply arrested. During that operation, a bomb-sniffing dog named Vahim was ordered to be exiled after he sniffed and found the weapons. He was sent to another city and was not allowed in the field anymore. I don’t know if he’s as lucky as I am and if he could make it out alive. This could sound like a joke to you. But this is a real life we are living in Turkey. According to official reports in my country, at least 165 journalists were imprisoned. More than 500 journalists were issued arrested warrant in their name. All of these are individuals despised and sought by the government in power. These journalists include Kurdish, leftist, as well as members of the Gulen Movement. All these journalists published stories that were critical of the government. Turkey was no paradise for journalists. But especially after the failed coup attempt, the crackdown on the media has escalated significantly. Within minutes of the coup attempt, President Recep Tayyip Erdogan called on the people to confront the military in the streets. More than 250 people, sadly, lost their lives during clashes between police forces and the rogue troops. Some were killed in airstrikes in Ankara while others were murdered after rebel troops fired on people on Istanbul bridge under ambiguous conditions. Instead of investigating the actual perpetrators of this horrific act, citizens who were sitting at home and watching the events unfold in complete shock were labeled as the target. It turned into a complete witch-hunt targeting mostly intellectual and educated individuals including, not only journalists, but also academics, Kurdish politicians, party leaders, members of the higher judiciary, and artists. More than 150,000 individuals have been summarily dismissed from their jobs without an investigation or due process. Even pastors and imams were taken into custody. And after these arrests were carried out, all human values, rights, and legal maxims have been violated, and victimizations have occurred. For example, a law enacted recently prevents the wife or child of a wanted individual from obtaining a passport, thereby violating personal rights. Even during the preliminary phase of an investigation, all of their assets have been seized. The government has confiscated more than 1,000 companies’ assets worth of over 15 billion dollars. According to the data we obtained, at least 70 people have lost their lives while under the custody or in prison. 7 individuals, all of whom had been previously purged by the government under the state of emergency, have reportedly been kidnapped last month. We saw on TV police raiding homes of Kurdish politicians, and pile soldiers into helicopters and arrest them after having landed on a soccer field. Not only journalists, but anyone critical of the government, and those who are willing to oppose, expose, and report the unlawful acts have been threatened and suppressed through these acts. Let me tell you what type of tragedies Turkish people have gone through following the coup attempt. 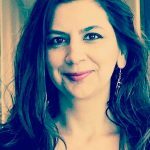 A teacher known to work at a school affiliated with the Gulen movement was taken into custody and kept there for 30 days, and without even getting a chance to give an official statement, his intestines were punctured due to the immense tortures he had faced and he eventually lost his life. Following the death of Gokhan Acikkolu, a teacher who never participated in a violent action, a city mayor working under the current government in power demanded that he must be buried in a Traitor’s Cemetery set up by authorities to bury the coup plotters. His corpse was only delivered to his father, who had to carry his son from one city to another all by himself. Even though he wanted his son to be buried through a regular religious ceremony, imams refused to observe a funeral prayer, as they too became politicalized. And this teacher’s death went underreported on media outlets. The presumption of innocence until proven guilty was ignored. He died in pre-trial detention under brutal conditions before even giving his testimony. Without a trial, he was declared a traitor by the government. In fact, these type of incidents did not begin with the coup attempt. The turning point took place on Dec. 17 in 2013, with the outbreak of a corruption scandal involving President Erdogan. This is the president who had just declared his one-man rule with a questionable referendum that took place on April 16. This corruption scandal involved Erdogan’s children, son-in-law, bureaucrats, ministers, media executives, and businessmen close to him. The documents disclosed the way in which these media establishments were founded through a system named “pool” in which money was collected through a patronage system between the government and wealthy businessmen. Right now, there are more than 60 Turkish journalists who are forced to live in exile all around the world. The purge in Turkey caused a massive brain drain. After the coup attempt, thousands of intellectuals, writers, academics, politicians, police officers, prosecutors, and judges were charged and declared as terrorists and traitors. Charges include having 1 dollar US bill, downloading an encrypted messaging app, possessing religious books, browsing critical news websites or posting tweets. Thousands of children were left alone after both of their parents were imprisoned. Journalists and intellectuals were kept under custody for days, subjected to insults and sent to prison. Judges and prosecutors who ordered their release were dismissed from their jobs on the same day. For example, last month, 21 journalists were released and moments before leaving the prison, they were taken into custody again. They were held at the police station for 14 days and sent back to prison. Judges who released them were suspended from duty. There are 12,000 judges and prosecutors in Turkey, almost 5,000 of them are dismissed from duty and over 3,000 are arrested. There is no media left in Turkey to report these. Hundreds of media outlets were shut down. Investigative journalism and free media are on the death row. This is exactly the reason why a daughter of two arrested judges opened a blog and publishes news and articles on her own. Or a woman whose husband was kidnapped tries to be heard through a video she shot at home through the social media. While victims are doing journalism, reporters working under the control of the government choose to be silent about all these developments. They choose to remain scared and close their eyes. Journalism is a profession of sacrifice. We shouldn’t have the luxury to be scared. I can’t put my life, my kids, my money, my safety before everyone. 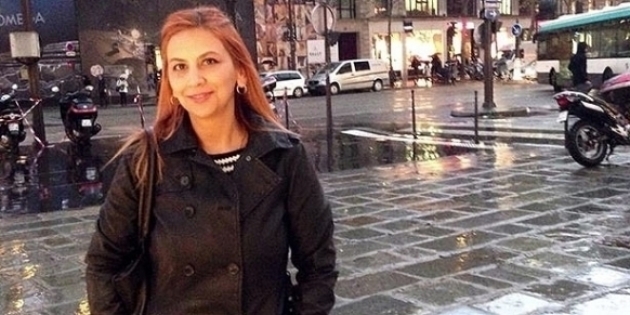 I am one of the few dissident female journalists in Turkey. And I would like you to know that I made it here today sacrificing all that I have. I was forced to leave behind my kids, my family, the streets I grew up in. I left behind my colleagues whom I love and whom I look up as an example. I don’t know when or how or if I will ever see them again. Instead of keeping quiet and under the radar in a geography where people are being burned in basements by the government and ran over by tanks, I would like to be able to freely raise my voice and fight for freedom. The world doesn’t only consist of Turkey. There is pain everywhere. There is injustice, persecution all around the world.